The Northern Recovery College concept was born from a conference held around ABCD (Asset Based Community Development). The triumvirate decided, led by Professor David Best (Sheffield Hallam University), Dr Linda Harris (Spectrum) & Service Manager for Aspire, Stuart Green, that there was a missing link currently in the Drug & Alcohol field and Recovery field. Increasingly due to re-tendering, austerity & a change in landscape, the opportunities for a collective information sharing and learning were becoming less frequent at all levels across different communities and organisations. 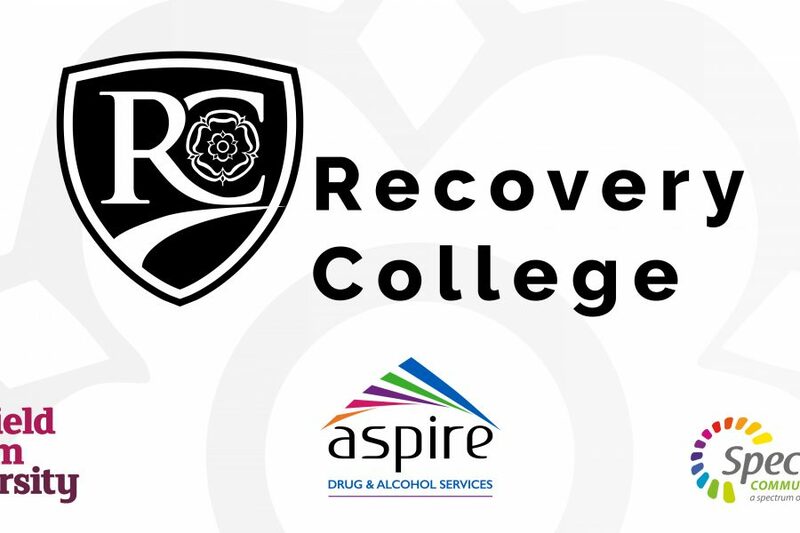 The College principles were developed by looking at the assets across both taught, lived and worked based environments for recovery and substance misuse and by bringing the collective experiences together from a rich resource bank known to the triumvirate and its members, freely sharing of evidence based practice or practice based evidence could be achieved in a collaborative approach to benefit treatment and the recovery movement in its continued development to support well-being. This is based on a recovery model that emphasises holistic wellbeing of both the client group and the workforce. The College set out with the ambition of having 3 stand-alone events at localities across Yorkshire and Humber each year led by each one of the originating organisations which also support an environmental experience for members as well as a shared knowledge of good practice. The Consortium have produced a prezi which can be viewed following the link below along with evaluation of feedback. The Northern Recovery College particularly wants to thank all of the guests, speakers and members alike that have taken part to make this part of a learning journey. We believe as a group of collective people that have a vested interest in well-being in our communities as well as recovery, and treatment services and other settings such as prisons, this unique way of connecting people represents an opportunity to support a grass roots approach to empowering members at every level. We are keen to hear from other people who would like to join this experience and who would like to commit to supporting our vision for collaboration, shared and experiential learning and evidence-based recovery practice.